Always a favorite of mine, Fancy Pants sure hasn't disappointed me with the new products to premiere at the upcoming CHA. They just finished 'sneak peak' week on the Fancy Pants blog, Miss Fancy Pants. While Delightful and Kraft Kuts are my favorite, they are all wonderful. And this isn't it! 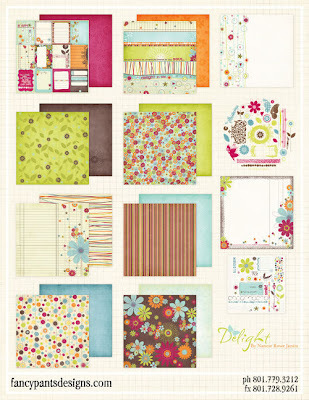 They also have some adorable notebook journals, signature frames, and 8x8 mini-books. 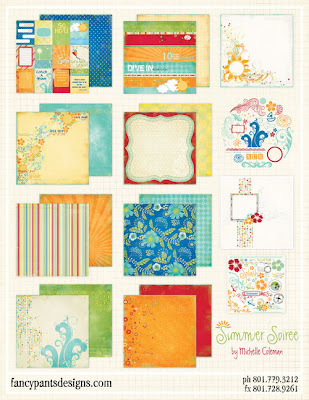 Be sure to check out their blog to see samples of these as well as a bunch of great layouts and other projects featuring their new lines. 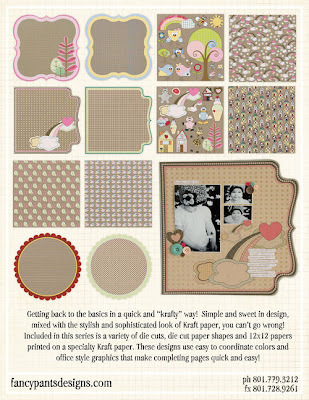 So, what is your favorite new Fancy Pants paper collection?? There are still some great items up for grabs in my eBay store. Auctions end on Sunday...don't miss out!